Here is a map demonstrates territory of Russia. interesting map of Vichuga free download. actual map of Rodniki calibrated displayed. actual map of Staraya Vichuga with gps calibration free download. 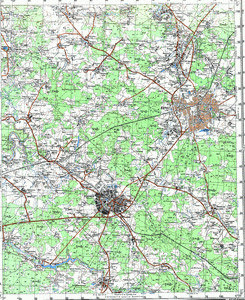 topographic map of Novopistsovo и OziExplorer calibration this. free map of Zybino 1 cm to 1 km free download. actual map of Zolotovka with gps calibration for Garmin. interesting map of Zolotilovo 1 cm to 1 km for Garmin. map of Zimenki и OziExplorer calibration displayed. topographic map of Zimenki with gps calibration for you. map of Zhzhonikha with gps calibration for Garmin. map of Zherebchikha presented. detailed map of Zelenovo with gps calibration here. free map of Zakharikha for gps. actual map of Zakharikha calibrated download for free. free map of Zagornikha calibrated free download. interesting map of Yudinka 1 cm to 1 km displayed. topographic map of Yezhovka calibrated presented.